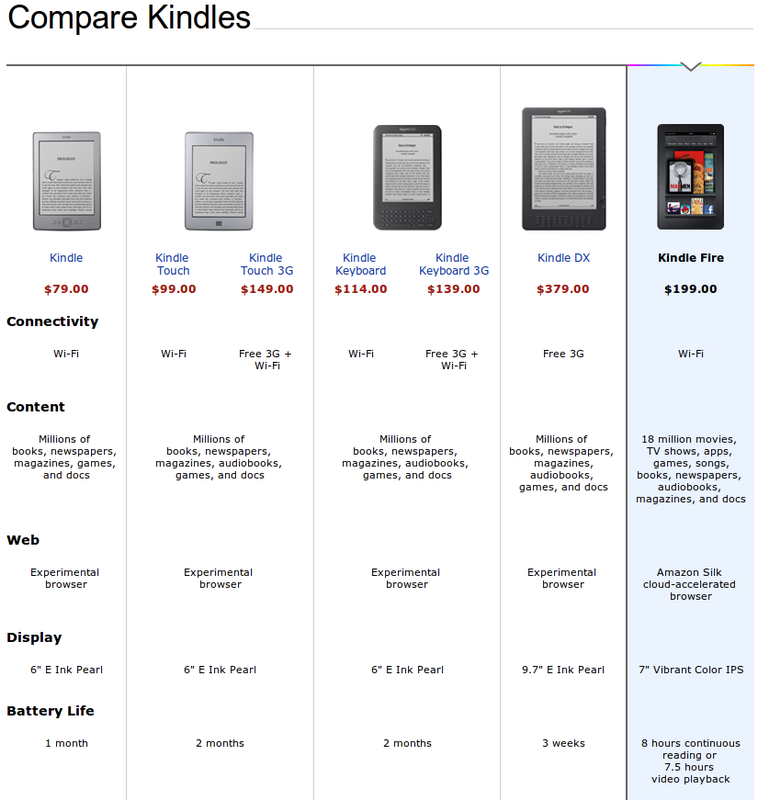 We all know that the announcement today, for the new Kindle eReaders would be huge. But this is breathtaking. It will secure their lead in the market for eBooks and opening a whole new field. Talking about an iPad-Killer? No. It's not. It's what the iPad always wanted to be. A content device without the worry. All the new Kindles are amazingly cheap. Starting from $79(!) you can have a full Kindle. That will lure many users that kept away from eBooks because of the price of the device itself. 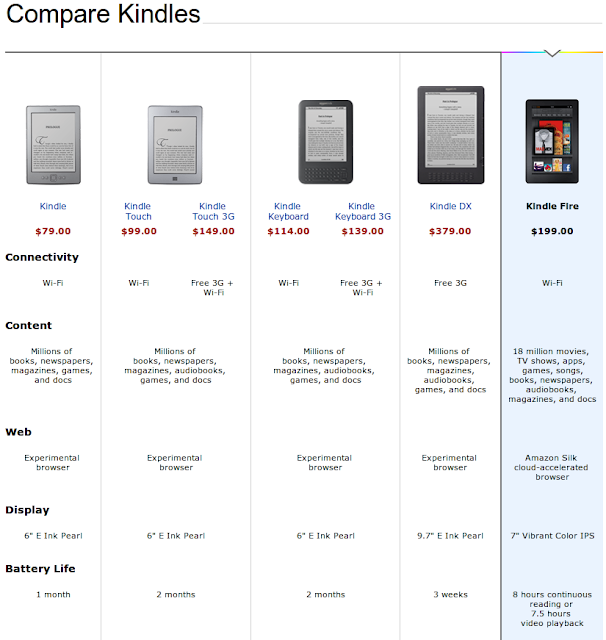 Then new Multitouch-Kindles with and without 3G, ranging from $99 to $379 for the 9.7" Kindle DX. Of course the real hit is the new Android tablet from Amazon: The Kindle Fire. It's priced at $199, which makes it one of the cheaper tablets, but comes with dual-core cpu and fully integrated in the Amazon Cloud. No need to store any Amazon content. You have unlimited cloudspace for all Amazon content, including movies, MP3, and of course books. Device storage is 8GB for apps and non amazon-content. I'm excited, as you might see :). It's amazing. Amazon made all that i hoped for such an device. Even the display. It's an anti-reflective 7" Vibrant Color IPS with 1024*600 pixels (169ppi). It's a full Android device, although heavy modified. But the apps from the Amazon AppStore will run. Like mentioned above, you also can watch movies from the store. Everything nicely integrated. Wow, this is overwhelming. One thing... It might take forever, until this device comes to Europe. And with the full integration is questionable if you can make much use of it when importing. So don't hold your breath.